After weeks of intense negotiations which somehow deteriorated into deplorable name-calling from the opposite camp, Manny Pacquiao and Ricky Hatton will be a reality. All the haggling and nit-picking was settled the Filipino way - over bottles of beer. Rex “Wakee” Salud would make an excellent Middle East Peace Envoy. Now we can talk about the protagonists. 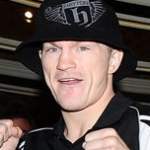 Ricky Hatton’s best moment in his 11 year pro career was in June 4, 2005 when he faced then world jr. welterweight champion Kostya Tszyu, who was also considered among the best pound per pound fighters in the world. Hatton was in Tszyu’s face throughout; pushing, mauling, and backing him up until Tszyu chose not to answer the bell for the 12th and final round. This is the Ricky Hatton that Manny Pacquiao and Freddie Roach should prepare for: an aggressive swarming fighter who will apply pressure every second of every round. He is very strong and is a decent body puncher. In his last fight against Paulie Malignaggi, Hatton once again applied unbearable stress and perpetual mugging until trainer Buddy McGirt threw in the towel in the 11th round. This will still be Hatton’s strategy – tempt Pacquiao to go back to his old brawling days, remove any science and strategy that Roach will think of, and apply suffocating pressure into the late rounds. 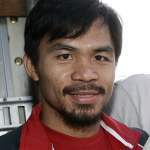 Pacquiao has shown steady improvement in every bout he had in 2008. His transmutation into a crafty boxer-puncher has made him into a more dangerous opponent inside the ring. He now pays attention to defence and lateral movement. But the wild slugger is still there hibernating deep inside him. The beast may decide to come out given the right opponent and the right situation. This possibility makes this bout more mouth watering for fight fans. Pacquiao also has a history of making his foes raise the white flag. Erik Morales sat on the canvas listening to the ten count in their third fight. We all saw what happened to Oscar de la Hoya. Personally, I do agree with Manny’s statement about respect and getting what he deserves. He is no longer a pawn in the shady game played behind the scenes. He is the undisputed King of the Ring and has been for a while. He is not a media creation. He did not have things handed to him on a silver platter when he turned pro. He had no Olympic medal around his neck to get people’s attention. He had to literally fight his way and earn his place in this world. Come to think of it, a lot of Filipinos could use some respect when dealing with foreigners. So on May 2 it will be. The hype machine will be turned on full and the world will be watching.